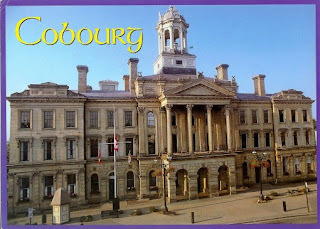 Cobourg's Heritage District has these unique street signs featuring a sailboat with gulls and an image of the cupola from the Victoria Hall. In a small town Third Street is on the edge of town. that would be a small town indeed! It's the town's pride and joy - and to think it was almost demolished! 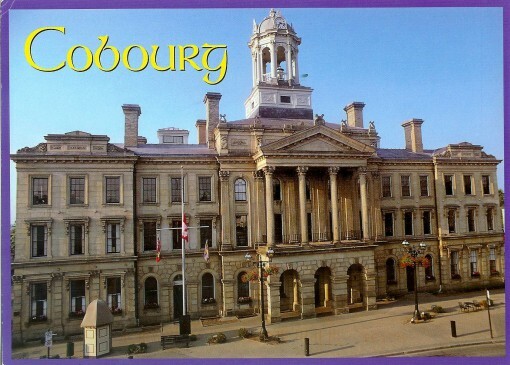 I had no idea there was such a building in Cobourg! If you ever get the chance, go inside. You will be in awe. Victoria hall is a grand building & I like that it's represented in the street sign! I haven't seen any signs that are quite like this design. I like heritage districts of cities I visit. As do I. I always check to see if there is a walking tour guide, so I know what I'm looking at. We are on the Oregon Coast for a short getaway and those street signs would be right at home here. I really like them. I've enjoyed your series of street signs. Thanks! I may even continue it in an other form.